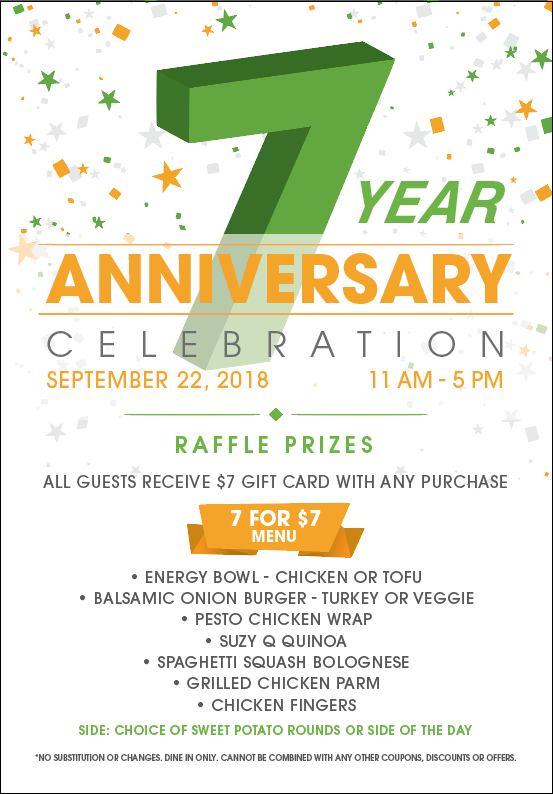 Don’t miss the Fit Foodz Cafe 7 Year Anniversary Celebration this Saturday from 11am-5pm. Free gift cards, amazing Raffle prizes and a $7 menu!! !